Honoring Congressman Bill Posey for OCTOBER Vaccine Injury Awareness Month to thank him for sponsoring legislation for a Vaccinated vs. Unvaccinated Study: Tinyurl.com/HR3615. Listen to my interview with Representative Posey along with fellow child survival advocates Kathleen Colfer Seravalli (pictured directly below), Robert Scott Bell, Marsha McClelland, Dr. Rebecca Carley and Virginia Young on “The Mary and Sallie Show“. Share this interview to alert legislators and parents: http://tobtr.com/s/11009531. 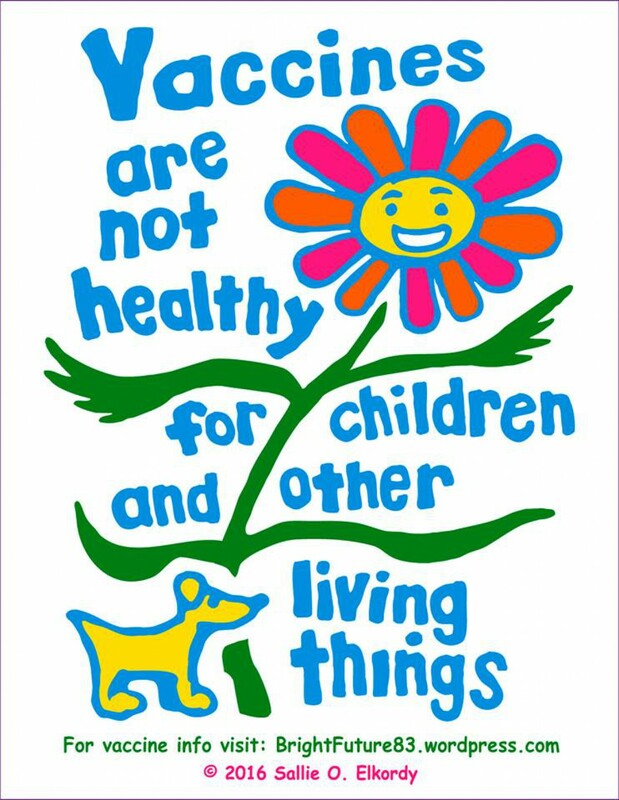 Reaching out to Mothers of Vaccine Injured or Deceased Children to ask them to SPEAK, EDUCATE & WARN other parents to prevent further vaccine-induced TRAGEDIES from occurring. It is left to us to undo the societal brainwashing (benefitting the few at the expense of the many). Legislators have been informed, but thus far refuse to act (with rare exceptions). As for the medical industry, it appears their true purpose is to poison and cull for profit. Even “holy men” have sold their souls to promote vaccines instead of protecting their congregations from them. Those who understand through experience and research… and actually CARE that our species continues, have a daunting task before them: to save the others, the ones who are not yet aware. Kathleen’s son Luke Mammal played the guitar (https://www.youtube.com/watch?v=p3UD6WF9fv8) as people gather to start this event. I tape for TV and air there as well. ALL of us can do this using our local public access television stations, which you can look up at videouniversity.com (proof of local residency required), It’s a FREE service throughout the USA and a top notch educational tool for the many people who STILL get their information from television. This event is free and open to the public. Children are welcome. Hands down “Best Day 2018”! ~ http://tobtr.com/s/11009531. Thanks to Alfred Lambremont Webre for covering these CENSORED issues: vaccine injury leading to blaming the parent (Munchausen Syndrome by Proxy) and then medical kidnap (child theft, which can result in any number of other issues): https://newsinsideout.com/2018/10/nomoreevil-medical-kidnap-by-vaccine-bring-aniya-home-anita-nicole-terri-laporte-sallie-elkordie/. Journalist Terri LaPoint wrote about Aniya’s case four times and this is the most recent article: http://medicalkidnap.com/2018/09/04/was-texas-moms-baby-who-was-accidentally-vaccinated-with-gardasil-medically-kidnapped-for-medical-research/. Previous Previous post: SHAME ON US! ~ INFANT DEATHS, OUR NATIONAL DISGRACE! brightfuture83 Create a free website or blog at WordPress.com.